'While imprisoned in a Nazi concentration camp, Simon Wiesenthal was taken one day from his work detail to the bedside of a dying member of the SS. Haunted by the crimes in which he had participated, the soldier wanted to confess to--and obtain absolution from--a Jew. Faced with the choice between compassion and justice, silence and truth, Wiesenthal said nothing. But even years after the way had ended, he wondered: Had he done the right thing? What would you have done in his place? The New Comparative Theology: Interreligious Insights from the Next Generation by Francis X. Clooney S.J. “Why do you stay?” It is a common question women are asked in relation to their faith. These are not women who buy into Candace Cameron’s biblically submissive theory; rather, these are women who claim a feminist identity, have membership in a particular religious tradition, and practice their faith in spite of gendered challenges. In Faithfully Feminist 15 Christian, 15 Jewish, and 15 Muslim women share their stories of struggle and faith. 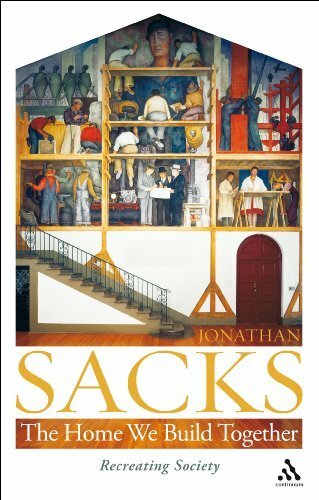 In "The Home We Build Together," Rabbi Jonathan Sacks explores the emergence and development of multiculturalism. He explains why multiculturalism may not be enough to rebuild a fractured society. He advocates for accountability and ownership that is shared among all members of society to build a home together in this world.